Motivational picture of beach, sand and water. Motivational pic of beach, sand & water. 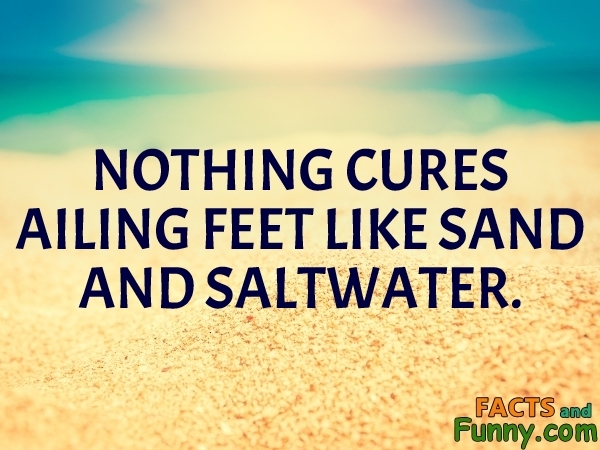 Nothing cures ailing feet like sand and saltwater. On average, seawater in the world's oceans has a salinity of about 3.5%. This content was created in April 2019.